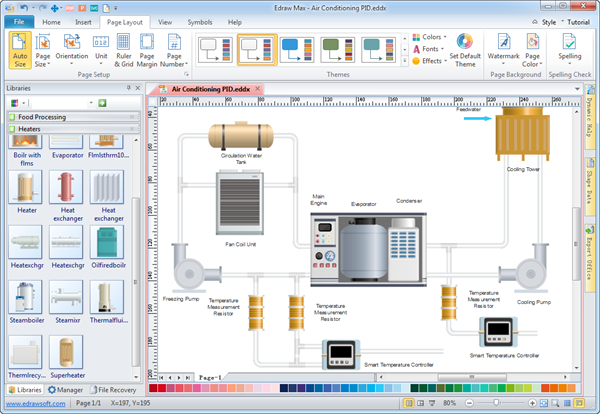 P&ID Designer is perfect not only for professional-looking process p&id, plant p&id, chemical p&id, distribution p&id, but also power p&id, water treatment pfd. Draw P&ID with predefined shapes by just dragging and dropping, requiring no drawing skill and experience. Even beginners can create professional PIDs in minutes. All shapes are vector format enabling high-resolution designs. Even when you zoom in the diagram to 400%, it still remains highly clear. Designed for operational simplicity and visual clarity, KarnaughMap 445 is an ideal tool for Electrical Engineering students to learn about Karnaugh Maps in the shortest abount of time. This program handles expressions containing 3, 4, or 5 variables, which are practical sizes for school work. Each page contains a “Truth Table”, a Karnaugh Map, and an Edit Box to show or enter Boolean expressions. The truth table and kmap are linked; when you click on a truth table cell, a check mark will appear on the cell that you clicked, as well as on the corresponding cell of the Kmap. You can also edit the Kmap directly. As you make your edit, you will see ovals drawn around the largest group of adjacent bits. A prime implicant logical expression will also appear in the edit box. This program also finds and eliminates redundant terms. It handles don’t-care conditions, which are indispensable in real-life designs. Kmap 445 will parse and simplify expressions containing multiple nested parenthesis. There is an option to display the expression in POS format instead of SOP format. The KarnaughMap 445 program is certified compatible with Windows 7, 8, and 8.1. AutoCAD OwnerGuard provides a real Security, Protection, Distribution Management, Publishing, Watermarking, Licensing and DRM solution for Autodesk AutoCAD Drawings (DWG). This product is made specially for internal company drawing security and publishers. AutoCAD OwnerGuard Locks your DWG Drawings to individual computer(s). AutoCAD OwnerGuard Defines High Security Expiration Dates or Working Times for your drm protected AutoCAD Drawings. AutoCAD OwnerGuard Controls and applies all required limitations on illegal redistributions, illegal transfers, printing(including limitation on total number of printed pages), screen capture, save, copy, expiration date and working time for your users. AutoCAD OwnerGuard Minimizes your users DRM hassles by letting them access your DRM protected dwg drawings offline. With AutoCAD OwnerGuard you can distribute and sell your secured/protected drawings easily while you’ve got full control over them. Using AutoCAD OwnerGuard you can Gain full control over your sensitive drawings security, protection, usage limitations, distribution and digital rights management. 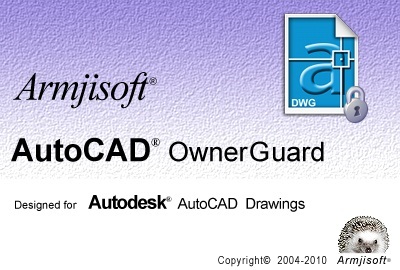 AutoCAD OwnerGuard will bring the maximum protection an ease of use to you and your users. 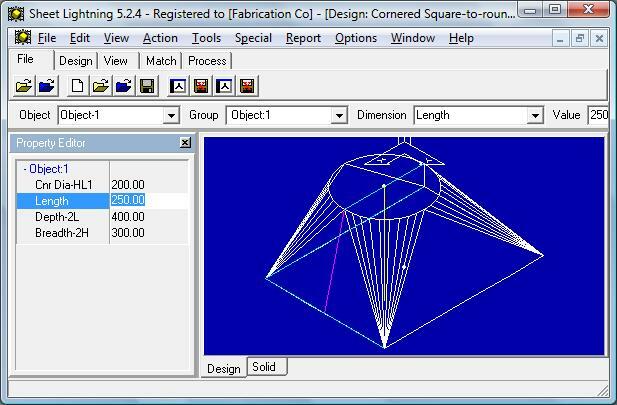 Sheet Lightning is a specialised engineering 2D/3D CAD System for creating and unfolding sheet metal designs for fabrication or manufacture. It handles everything from simple cylinders, cones, rectangular ducts and ovals, to adapters, adapting any of these section types, interections between any of these types and multi-intersections of any of these types. This enables it to handle breeches, lobster-back or segmented bend and very unusual or complex one-off designs. 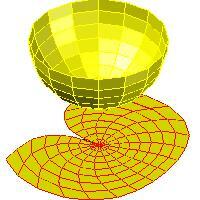 All pieces can have centre line offset and oblique or skewed sections. Simple designs are handled with ease through a second ‘parametric’ environment that requires only the typing of key dimension values to modify the design. A library of standard designs is included. Futhermore all designs created using the full 3D system can be automatically analysed and converted to a parameteric form, then saved as extensions to the existing library. 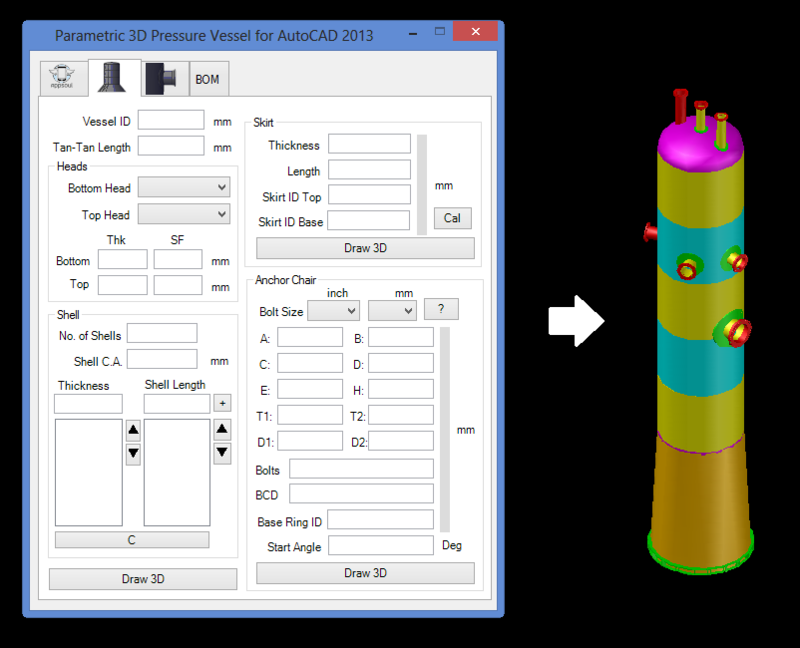 The software integrates to general CAD systems via seamless DXF transfer, exporting both 2D patterns and 3D models. The product has been provensince the earlienst version in the worldwide market place since 1990, offering truly unique design capability. Mesh Unfolder imports file formats – DXF (3D faces or Polymeshes), STL (triangles), 3DS (Autocad 3D Studio), OBJ (Wavefront) and other mesh data, unfolds it into a flat sheet and exports the output back to CAD systems. It can handle 3D formed surfaces interpreting the 3D shape to 2D, using various adjustable criteria, by predicting and reversing the deformation that takes place during the forming process. 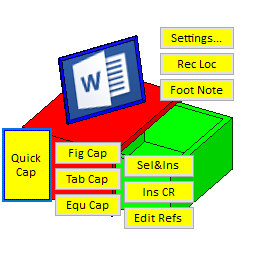 Mesh Unfolder can also be used as a data convertor by loading the supported files and exporting to DXF – which is supported by most systems.